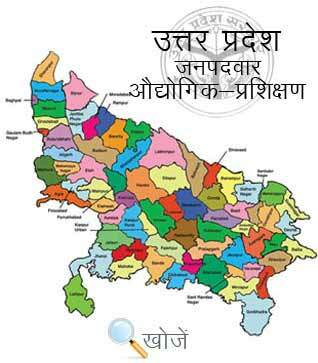 Mirzapur is a famous city of northern Uttar Pradesh. It is known internationally for its carpet and brassware work. It is also famous worldwide for Holy Temple of Vindhyavasini, Kali Khoh and Asht Bhuja and for his naturally beautiful places, hills, mountains, rivers and waterfalls. The literacy rate of the city is 68.48 %. The city offers modern education to the students. It has more than 75 different study colleges for youth having more than 20200 enrolments per year as per records. To understand the demand of skilled manpower, there are various Industrial Training Institutes and Industrial Training Centers opened to provide technical as well as non-technical education to the students. At present, the city boasts 02 Government ITI’s and 57 Private ITI’s. After completing ITI, students can go for Apprenticeship Training. During this Training Period trainees get paid on monthly basis. The prerequisite to enroll in various courses is Matriculation with the minimum age of 14 years. In the state of Uttar Pradesh, Vyavasayik Pareeksha Parishad (www.vppup.in) is responsible for conducting the entrance examination for admission to various courses in ITI’s. Students can also visit online education portal www.upiti.in as well. It is a comprehensive database of information to the students regarding admission, results, online downloading application forms and important notifications etc. to save their valuable time.